Surah Nuh "Noah": Summary of 71st Chapter of the Holy Quran ~ Islam My Ultimate Decision . Sūrat Nūḥ (Noah) is the seventy-first surah / chapter of the Quran with 28 ayat and two rukuh, part of the 29th Juz. It is about the Prophet Nūḥ (Noah, peace be upon him) and the great flood that followed as a wrath of Allah on people who disobeyed the Divine message conveyed to them through Prophet Nuh. 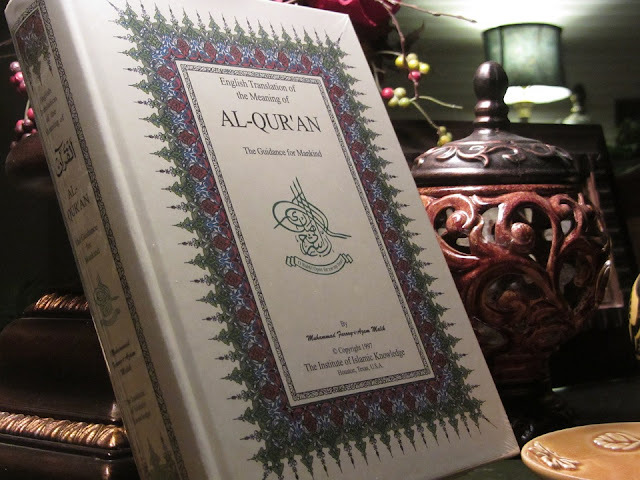 It may be added for information that the Part / Juz 29 of the Holy Qur'an generally includes surahs that provide the guidelines of doing da’wah (preaching the word of Allah) and the essential character required of a da’ee (the preacher). This surah is said to have been revealed in Makkah at a time when the opposition to the Holy Prophet's message of Islam by the pagans of Makkah had grown very intense, offensive and unbearable in their rejection of the Message. Thus one can understand the purpose of revelation of this surah to serve as a lesson as well as a caution to those who mock and oppose the prophets of Allah, the same attitude as the people of the Prophet Nūḥ had adopted towards him, that is; "If you do not change this attitude, you too would meet with the same end." This had not been said in so many words anywhere in the Surah, but in the background of the conditions under which this story was narrated to the people of Makkah, this subject itself became obvious. We may also conclude that since people of Prophet Nuh were unable to grasp the idea of the existence of one Allah, the lives of Prophets Muhammad and Nuh are parallel to each other. The surah was used to increase the faith of the believers; it shows that Prophet Nuh too before Prophet Muhammad had difficulties in dealing with the disbelievers of his time. 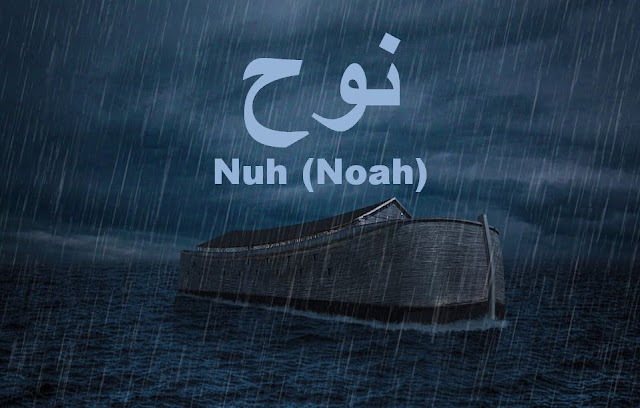 Although, we have already published the story of Prophet Nuh (Noah) and the Great Flood earlier in our blog, this post is related to Surah Nuh as given in the Holy Qur'an. However, this surah is limited only to the Prophet Nuh's efforts to call his people to the Divine message and his lamentation when they refused that resulted into the the big flood. The post above describes in detail the making of the big boat, the great flood and its aftermath by taking references from the Holy Qur'an whereever these occur to complete the total picture. The opening verses 1-4 briefly explain how he began his mission and what he preached. The preaching of Prophet Nuh's mission for ages the report that he made to his Lord has been given in verses 5-20. In it he states how he had been trying to bring his people to the right path and how his people had stubbornly opposed him. 5) He said:7 “My Lord, I called my people by night and by day, 6) but the more I called, the farther they fled. 7) And every time I called them so that You might forgive them, they thrust their fingers into their ears and wrapped up their faces with their garments and obstinately clung to their attitude, and waxed very proud. The verses 6-7 above means the more Prophet Nuh called them to come to the truth, the more they avoided it. Every time he preached the Message, he though they would submit and Allah will forgive them. But stubborn as they were, it seemed that they had rather closed their ears so as not to hear the prophet's calling. This is similar to what the unbelievers of Quraysh did, as recorded in the Qur’an [Surah Fussilat ayah 26] wherein Allah says, “And those who disbelieve say, ‘Listen not to this Qur’an, and make noise in the midst of its (recitation) that you may overcome.” In (Surah Houd, 11: 5), a similar attitude of the people of Makkah has been described: Unquestionably, they the disbelievers turn away their breasts to hide themselves from Him. Unquestionably, [even] when they cover themselves in their clothing, Allah knows what they conceal and what they declare. Indeed, He is Knowing of that within the breasts. 8) Then I summoned them openly, 9) and preached to them in public, and also addressed them in secret. 10) I said to them: “Ask forgiveness from your Lord; surely He is Most Forgiving. All apostles of Allah have always asked their people to ask forgiveness from Allah for he is surely the most forgiving. And this message has been sent in many surahs of the Holy Qur'an . In Surah AI-Ma'idah (verse 66) it has been said: "Had the people of the Book observed the Torah and the Gospel and the other Books which had been sent down by their Lord, abundance of provisions would have been given to them from above and from beneath." In Al-A`Raf (verse 96): "Had the people of the settlements believed and adopted the way of piety, We would have opened on them doors of blessings from the heavens and the earth." In Surah Hud (verse 52), the Prophet Hud addressed his people, saying: "And O my people, beg forgiveness of your Lord, then turn to Him in penitence, and He will open the gates of heavens for you and add more strength to your present strength." Through the Holy Prophet himself in this very Surah Hud (verse 3), the people of Makkah have been admonished to the effect: "And you should beg forgiveness of your Lord, then return to Him, and He will provide you with good provisions of life till an appointed term." According to the Hadith, the Holy Prophet said to the Quraish: "There is a word which. if you accept, would enable you to rule over the Arab as well as the non-Arab world." 11) He will shower upon you torrents from heaven, 12) and will provide you with wealth and children, and will bestow upon you gardens and rivers. Verses 10-11 are so powerful that once during a famine Hadrat `Umar came out to invoke Allah for the rain and begged only forgiveness of Allah. The people said: "O Commander of the Faithful. you have not prayed for the rain." He replied: "I have knocked at the doors of heaven where from the rain is sent down", and then he recited these verses of Surah Nuh to them. (Ibn Jarir, Ibn Kathir). Likewise, when in the assembly of Hadrat Hasan Basri, a person complained of drought, he said to him "Beg forgiveness of Allah." Another person complained of poverty, a third one said .that he was not being blessed with children, a fourth one said that his harvest had failed, and he continued to remind everyone to beg forgiveness of Allah. The people asked: "How is it that you have suggested to all the people one and the same cure for the different complaints? He in response recited these verses of Surah Nuh to them" (Al-Kashshaf). The Prophet Noah's final submission has been recorded in verses 21-24, and shares his utter disappointment about his people: "These people have rejected my invitation: they are blindly following their chiefs, who have devised a tremendous plot of deceit and cunning. Time now has come when these people should be deprived of every grace to accept guidance." For some, it may seem that the prophet got impatient by the continued refusal by his people to his call. In fact Prophet Nuh is said to have invoked Allah to send His wrath on his people after he had tried for almost 950 years but they did not budge. This reveals to us the amount of patience that Allah and His prophet have for people. They remained adamant in their stubbornness but he continued to preach for nine centuries until he had enough. 21) Noah said: “My Lord, they did not pay heed to what I said, and followed those (nobles) whose possession of wealth and children has led them to an even greater loss. 22) They contrived a plot of great magnitude. In verse 23, out of the gods of the Prophet Noah’s people only those gods have been mentioned whom later the people of Arabia had also started worshiping and whose shrines were found all over the country at the advent of Islam. It is not impossible that the later generations heard the names of the ancient gods of Noah’s people from the people who were saved from the flood, and when ignorance once again spread among their children, they made idols of the same gods and started worshiping them again. 23) They said: “Do not abandon your deities; do not abandon Wadd, nor Suwa, nor Yaghuth, nor Yauq, nor Nasr. Wadd was the god of the Bani Kalb bin Wabash, a branch of the Qudaah tribe, whose shrine had been built at Daumat al-Jandal. In the ancient Arabian inscriptions he has been named as Waddam ibam (father Wadd). Kalbi has stated that the image built to him was of a man of enormous size. The Quraish also acknowledged him as god and called him Wudd. It is after him that a person has been named Abd-i Wudd (slave of Wudd) in history. Yaghuth was the god of Anum, a branch of the Tay tribe, and of some branches of the Madhjih tribe. The people of Madhjih had installed its idol, the image of a lion, at Jurash, a place between Yaman and Hijaz. Among the Quraish also some people had been named Abd-i Yaghuth. Yauq was the god of Khaywan, a branch of the Hamdan tribe, in the territory of Hamdan in Yaman; its idol was of the horse’s figure. Nasr was the god of Al-i dhul-Kula, a branch of the Himyar tribe, in the territory of Himyar; it had its idol installed at Balkha and had the image of the vulture. In the ancient inscriptions of Saba its name has been written as Nasor. Its temple was called bayt Nasor (house of Nasor) and its devotees ahl Nasor (people of Nasor). The ruins of the ancient temples that are found in Arabia and in the adjoining lands have the image of the vulture made on the doors of most of them. When no chance of their acceptance or coming to the Right Path was left, eventually Allah’s punishment descended and they were wiped out as mentioned in the verse 25. 25) And so they were drowned on account of their sins, and then cast into the Fire, and did not find any other than Allah, to come forth to their help. and just drowning was not their end, but after death their souls were immediately subjected to the punishment of the Fire. This precisely was the treatment that was meted out to Pharaoh and his people, as has been stated in (Surah Al-Momin, Ayats 45-46). This verse also indicates the punishment of barzakh (intermediary stage between death and Resurrection). The second of the verse 25 means that none of the gods whom they looked upon as their supporters and helpers came to their rescue. This, in fact, was a warning to the people of Makkah, as if to say: If you too are subjected to the torment of Allah, these gods on whom you have placed all your reliance, will avail you absolutely nothing. In the concluding verses, the Prophet Noah's supplication that he made to his Lord, right at the time the torment descended, has been recorded. In it he prays for his own and for all the believers' forgiveness, and makes a submission to Allah to the effect: "Do not leave any of the disbelievers alive on the earth, for they have become utterly devoid of every good: they will not beget any but disbelieving and wicked descendants." This surah in fact points towards patience of the prophets of Allah. But when after long efforts and hard labour to convince the non believers to the Divine commandments, if they are unsuccessful and call out to Allah, then Allah certainly listens to their lamentations and sends down His wrath that does not spare no one and is nothing but complete destruction. So those who read this post and do not believe in Allah and His last religion should take a time out to sturdy Islam and if it is done with a genuine quest to find the truth, they will, God willing the truth will be unfolded unto them and will enlighten their souls and life - both in this word and the hereafter.